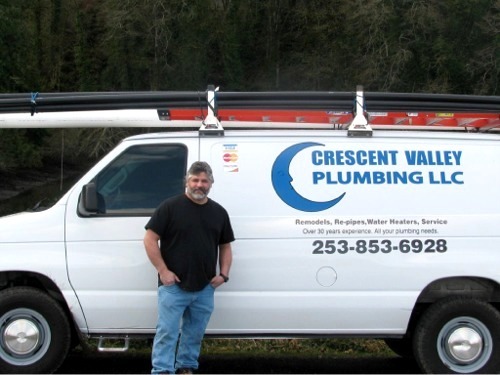 Crescent Valley Plumbing LLC is a Gig Harbor based plumbing repair company, serving customers in the Tacoma metro area. We provide routine and emergency plumbing services to residential and commercial customers in Serving Gig Harbor, Port Orchard, Olalla, Purdy, Key Peninsula, Lakewood and Tacoma. What is your Plumbing Problem Today? Leaking faucet or sink drain? Hot Water Heater won't heat? We can fix all of these plumbing problems for people who live in Gig Harbor and companies located in Gig Harbor and Tacoma, and more! Contact Us to get your plumbing problem solved today, and your life back in order! 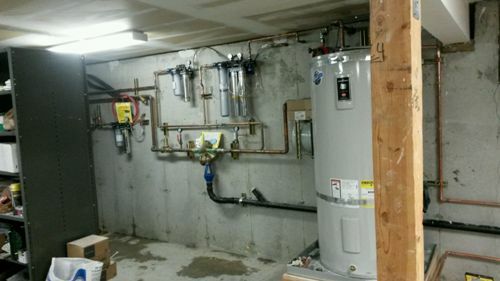 Browse our plumbing services page to see a full range of the plumbing services we offer in Tacoma and Gig Harbor. We are your Gig Harbor area "Mom and Pop" Shop! This means we can offer you competitive pricing. You can count on friendly on-time service with no surprises. Work is done with integrity and your satisfaction is guaranteed with a one year warranty on parts and labor. Plumbers are notorious for their unreliability during a crisis such as pipe repair. At Crescent Valley Plumbing, we always arrive on time with a fully stocked van that is capable of handling most of your pipe repair emergencies. Other poorly stocked plumbing companies may not carry specialized hardware or tools with them. We understand that you have a life to live, and a busted water pipe can disrupt your daily schedule. Our goal is to have your water working again so you can get on with your daily routine. 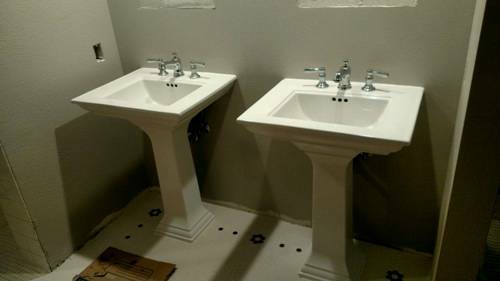 We have been in the plumbing business for 30 years, and are highly skilled in all aspects of plumbing installation, repairs and appliance plumbing. Stop your search for plumber and call Ed at Crescent Valley Plumbing. I can't say enough good things. Ed was incredibly friendly, honest, professional and skilled. We had a pipe break on a holiday weekend, I did not think we would be able to get any help until after the weekend. However to my surprise Ed came out and took care of the problem right away and his fee was reasonable. Ed came when promised and did the job quickly and for a good price. 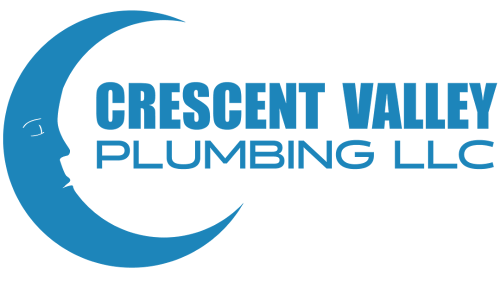 Fast, friendly, knowledgeable, professional are all adjectives I would apply to Crescent Valley Plumbing.